Head-lice is spreading among teens, and duck face is to blame. WHO DOESN’T LOVE a good selfie? The tricky part is getting everyone in the small photo if it’s a group selfie, so naturally you’d all huddle up close. Aw that’s sort of sweet, right? What you’re really doing, is spreading manky head-lice. Lice removal specialist (it’s a calling) Marcy McQuillan told SFist that she’s seen a huge increase in the level of teen lice this year, which she believes is a direct consequence of teens “sticking their heads together every day to take cell phone pics”. 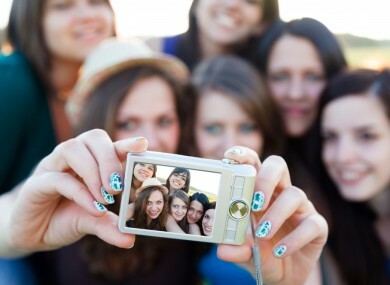 McQuillan works at the Nitless Noggins clinc in California and warned that teenagers need to wake up to the harsh realities of unprotected selfies. SO. NOW. The harsh, harsh truths. However, there’s no consistent numbers to prove that there’s actually a genuine rise in lice cases. Harvard School of Public Health teacher and pest-identifier Dr. Richard J. Pollack told NBC News that the incidents of lice are quite low in teens to begin with so spreading it is unlikely. This is a marketing ploy, pure and simple. Wherever these louse salons open a new branch, there always seems to be an epidemic. It’s good for business. So there you have it, snap away, once all your mates are nit free. Email “Your group selfies could be giving you nits”. Feedback on “Your group selfies could be giving you nits”.